Finally bought the vlogging camera. You might remember me contemplating getting the Canon G7 x or Olympus Pen e-pl7 for on the go vlogs. 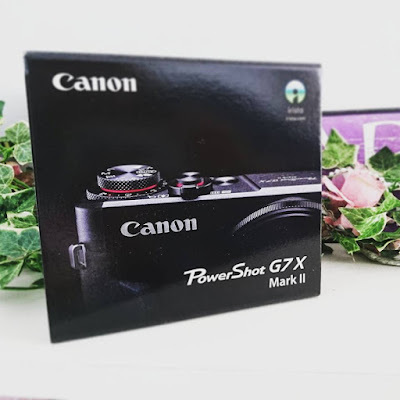 Well in the midst of all that I realised that the original G7 x had turned into an OLD model as the G7 x mark ii had just come out. I had been searching the net for the first camera but couldn't find any sellers! Then the mark ii was literally £200 MORE - which is ridiculous, because in a year or two it will be reduced to rubble... As always the case. So keeping that in mind, I would have preferred the original G7 x, but seeing as EVERYONE wanted it, it was no where to be found. The problem was now EVERYONE wanted this one!!! For two months it's been sold out. OMG, right? So yesterday it finally said "In stock for home delivery". YAAAAAAAASSS. Only thing for it - ORDER.